Mary Beth started her real estate in career in 1989 and has continued her success through company affiliations with @properties. She has successfully negotiated and closed over 400 real estate transactions. During her real estate career she has assisted both buyers and sellers throughout the Lake Shore neighborhoods of the Gold Coast, Streeterville, Lakeview, Bucktown, Lincoln Park and Wicker Park. MaryBeth is patient and flexible in helping her clients meet their real estate needs. Her expertise includes pre-listing inspections and advice to ascertain the necessary areas to improve the property prior to listing. The most rewarding aspect of her work is to consistently meet new clients and help them fulfill their dream. She treats all her clients as family which leads to long term relationships and referrals. She provides effective marketing including enhanced web presence and professional photography. Being a ''research junkie'' MaryBeth she delves deep into past and current sales data to give her sellers the most accurate pricing. She gives timely feedback and customized communication in a manner convenient to her clients. As a relocation expert, her enthusiasm for Chicago gives relocating clients important information regarding all aspects of living in this fine city. She looks at real estate as more than a full time career but takes time to give back to the community. 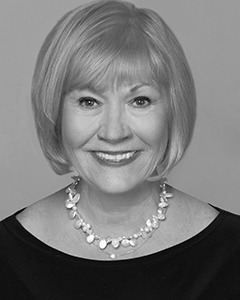 MaryBeth served as co-chairman of two galas to raise funds for the Chicago Parkways Foundation as well as for Almost Home Kids, a transitional home for medically fragile children in Chicago.